Olympic investigation: Who do Nike Sponsor? Nike is the largest sports supplier in the world, in 2008 the company spent a massive $235 million on direct sponsorship. 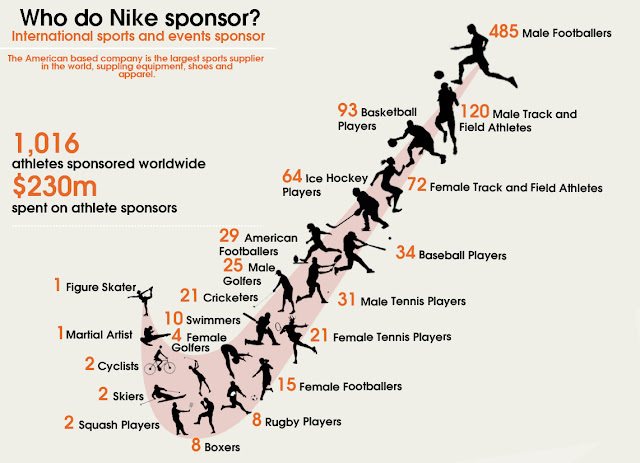 With this figure in mind it is important to look at how many athletes the company sponsor. It is evident when compared to athletes sponsored by Adidas, that both companies have chosen to endorse footballers heavily, and play an important role in the sponsorship process for players.